We are now aiming to further improve our customer’s experience by providing best in class service and Katipult is making that possible. 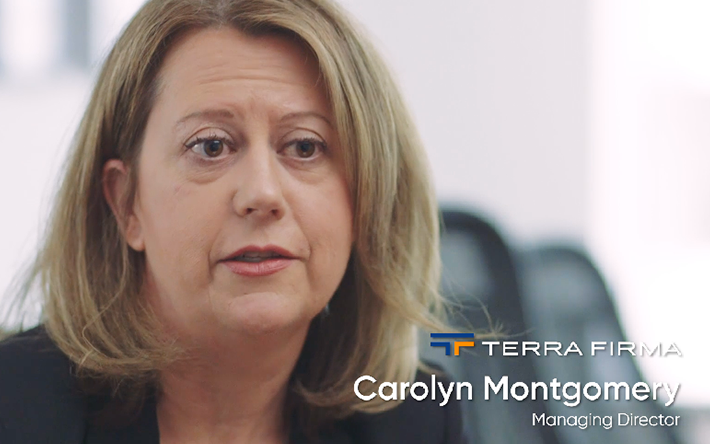 We spoke with Carolyn Montgomery, Managing Director of Terra Firma, a boutique publicly traded real estate finance company that provides customized debt and equity solutions to the real estate industry, about their expectations of their newly built Katipult real estate platform. Over the years we have developed a robust network of accredited investors and have provided them new investments and asset management services on a regular basis. As our company has grown we were looking to move with the times and introduce some form of automation and digitalization both to the way we communicate with our existing investors and at the same time to expand our network. Our reach of potential accredited investors was limited by traditional, offline methods. We were also looking for a way to educate our customers and prospects and to assist them in reaching informative investment decisions. We wanted to create an efficient, scalable system to bring on new investors to our syndication platform and to improve customer experience when dealing with our company. We found that Katipult’s platform is the right fit for us with the right mix of features, and more importantly they consistently showed a high level of professionalism throughout the whole selling process. They responded in a much more professional manner to our enquiries than other firms out there and appeared to understand what we were trying to achieve. Very accomodating and far from pushy. Took their time to learn our needs and help us achieve our goals. Katipult: What was the biggest benefit you\ve seen from using Katipult’s investment management & crowdfunding software? Our expectations are that through the Katipult platform, we will be able to manage our entire syndication process including signing on new investors, documentation, getting them to participate in investments, handling their cash advances, tracking their accounts, etc. We also expect that in the future Katipult will develop proprietary block chain capabilities to assist us in offering our investors enhanced capabilities to complete secure online transactions. TerraFirma creates value for our shareholders by investing in development projects managed by seasoned real property developers with broad and deep knowledge of local markets.We are now aiming to further improve our customer’s experience by providing best in class service and Katipult is making that possible. Terra Firma Capital Corporation is a boutique publicly traded real estate finance company that provides customized debt and equity solutions to the real estate industry. We focus on providing financing for quality commercial and residential real estate developments as well as income producing properties throughout Canada and the US. We offer the full spectrum of real estate financing in a variety of structures, under the guidance of strict corporate governance, clarity and transparency controls.